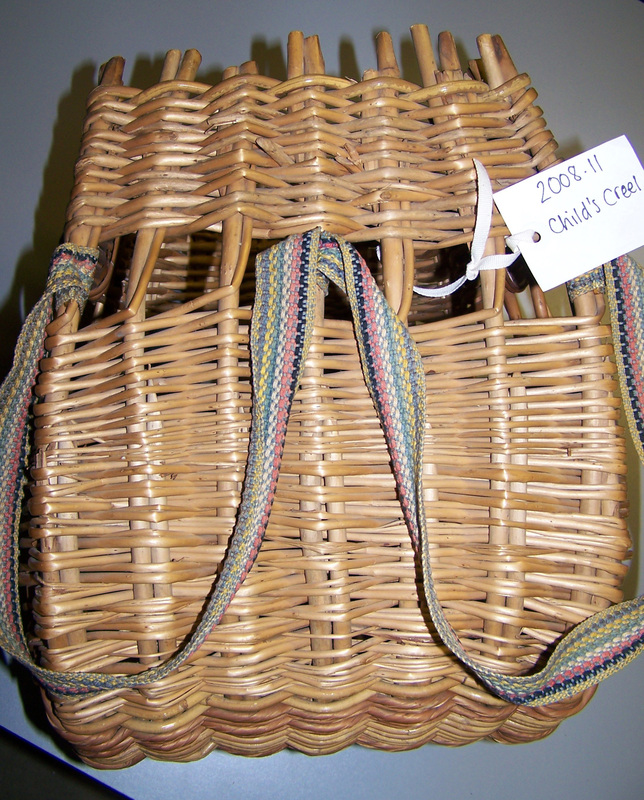 I went to the depository of Museum nan Eilean in February 2012 to see what baskets they had in store there. You need to contact the museum in advance to see these baskets as only a few are out at any one time in the museum itself. 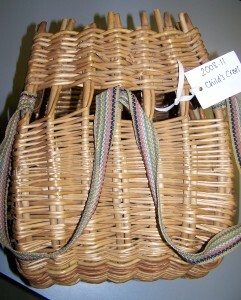 Most of the baskets have not been made here on the islands and are of limited interest. But there are several creels. I was particularly interested in the use of kuba cane in some of them, presumably because of its resistance to rot from seawater. There are also some quarter crans from the fishing industry, presumably coming from Norfolk, but possibly from Wick. 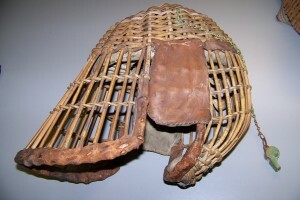 There is a cliff rescue helmet, the same design as one found by Julie Gurr in the Arran museum. I wonder who made these and how many were distributed to rescue services along our coasts? There are a couple of long line baskets woven in willow with hazel ribs. Presumably these were made here on the islands. One is documented as being made in the 1920s by Angus Campbell in Tarbert. I was disappointed not to find any frame baskets. I have been looking for one all-over as hundreds of these would have been used in the herring industry here. But they probably rotted and fell apart. I haven’t met anyone who remembers this type of basket being made here. Maybe the skills of frame basketry died out. Maybe all the ones used in the herring industry were shipped in along with the quarter crans.